The nail in Rep. Debbie Wasserman Schultz’s Democratic National Committee coffin was finally hammered in when the once-popular congresswoman from south Florida was booed off the stage at an event put on by her home state constituents. Shortly after leaving the stage, it is reported that Wasserman Schultz sought refuge in a “holding area to assess the fallout” from what had just happened to her. While speaking at the Florida delegation breakfast before delegates headed to the the Democratic National Convention in Philadelphia patrons tried to boo her off the stage. The first call made was to ensure the security was up to snuff, because, as one aide put it, “the situation on the ground had changed from what it had been 24 hours beforehand.” Wasserman Schultz remained in the room for several hours, consulting with close friends and advisers, eventually reaching the conclusion that she could not take the stage later that night. Her fellow DNC officers had come more quickly to the same conclusion. 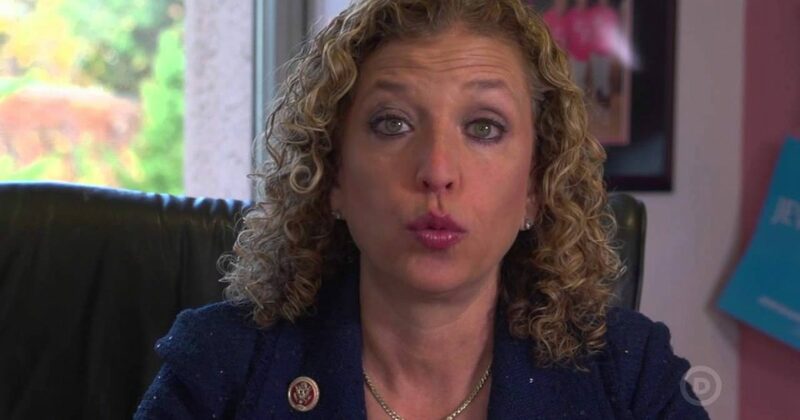 The officers had scheduled a call on Monday morning to discuss transition plans for when Wasserman Schultz stepped down from the DNC post after the convention. But after the Florida delegation blowup, the call took on new urgency and meaning. Frustrated by Wasserman Schultz’s resistance to give up her convention gaveling duties, they decided that they would need to intervene to ensure that the chair didn’t step foot on the podium. Wasserman Schultz was not on the call. “It was very painful for all,” said one of the sources familiar with what was discussed, who, like others interviewed for this story, would only talk about the private conversations on condition of anonymity. “It was still an open question and lots of tense discussions going on and lots of horse trading,” another source said. By that point, however, it was a moot discussion. Wasserman Schultz, who had fought hard till then to keep her spot at the convention, let it be known that she too understood it would be a distraction if she appeared onstage. And so it ends for Wasserman Schultz. To her credit, Wasserman Schultz did her job well. As head of her party, Wasserman Schultz was tasked to do the presidents bidding, raise money for fellow Democrats across the country, and push Democratic Party talking points to the press, no matter how out of touch and ridiculous they are. With his behind her, Wasserman Schultz can now focus on her contentious congressional primary race against fellow liberal Democrat, Tim Canova. This race will get ugly.